In a city already troubled by allegations of police misuse of force, a Chicago police officer shot and killed a male college student and a mother of five, both black, on Saturday morning following a report of a domestic disturbance. The police department of the nation’s third-largest city is under a federal civil rights investigation for its use of deadly force and officer discipline. 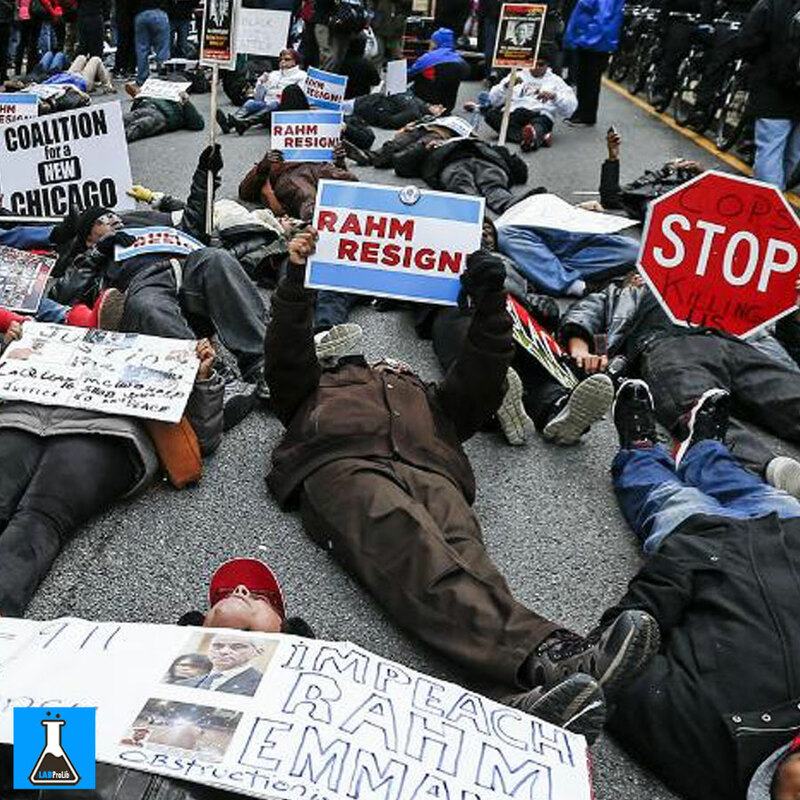 A recently released video of the shooting death of a black teenager by a white officer in 2014 has led to multiple protests, with activists calling for Mayor Rahm Emanuel’s resignation. The latest shooting happened early on Saturday on the city’s west side. “Upon arrival, officers were confronted by a combative subject resulting in the discharging of the officer’s weapon, fatally wounding two individuals,” police said in a statement. The Cook County Medical Examiner’s office identified the dead as Bettie Jones, 55, and Quintonio Legrier, 19. The Chicago Tribune rendered the name as ‘LeGrier’ but officials could not immediately confirm that spelling. Family members of Jones said that Legrier, a sophomore at Northern Illinois University, was home for Christmas and visiting his father, landlord of the two-story wooden frame building where the shooting occurred. Family members said police were called after Legrier threatened his father with a metal baseball bat. Jones, who lived in the first-floor apartment, was shot through the door, according to her cousin, Evelyn Glover. There was a single bullet hole in the wooden door. Blood stained the walls and carpet of the tidy apartment, which was decorated for Christmas. Relatives, including children of Bettie Jones, who was a grandmother of 10, were at the building crying and embracing each other. “This is a wrongful death. How are you just going to fire through the door?” asked Glover, who added that Jones was recovering from ovarian cancer. Melvin Jones, Jones’ older brother, said his sister was a hard-working single mother who had recently started a new job. Janet Cooksey, Legrier’s mother, told local news channel CLTV her son had recently been suffering from mental illness. The Independent Police Review Authority, which reviews police conduct, is investigating the shooting. Emanuel recently replaced the authority’s chief official in response to complaints about the agency’s effectiveness. Use of force by police has sparked national debate after high-profile killings of black men by mainly white officers in several U.S. cities. A prayer vigil for the shootings is planned for Sunday afternoon.